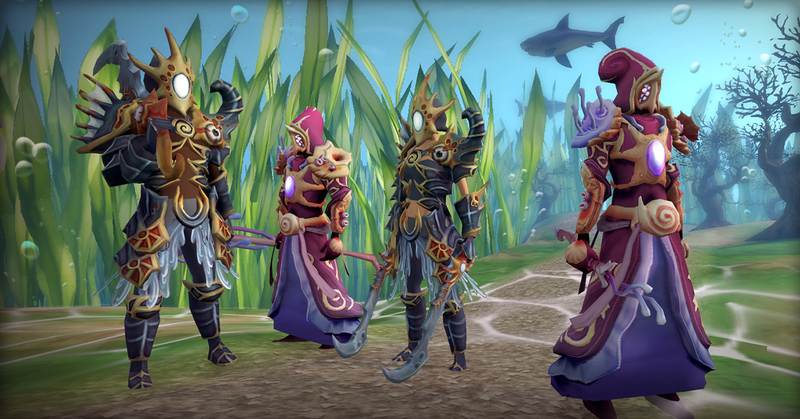 This week’s RuneScape update is Runepass, a limited time event running from July 2 to July 15. Ocean’s Bounty gives players a set of daily tasks that can be completed to level up the pass and gain more rewards. The pass has two tiers, one for free and one that is purchased for 400 Runecoins (approximately $10 USD or three bonds at 195 coins each). Those who have not purchased Runepass will have access to two tasks, one daily repeatable task and a weekly task with longer requirements for completion, while those who do buy the pass will have access to two additional daily tasks as well as the bulk of the rewards. The Runepass appears to be Jagex’s answer to the Battle Passes that have become popular in games like Fortnite over the past few months.